Are you a busy family that is tired of eating out? I get it. Do you know where you have to start in order to stop eating out all the time? It’s all about the meal plan! We have been large family meal planning for years and it is the way I save money and stick to our grocery budget. 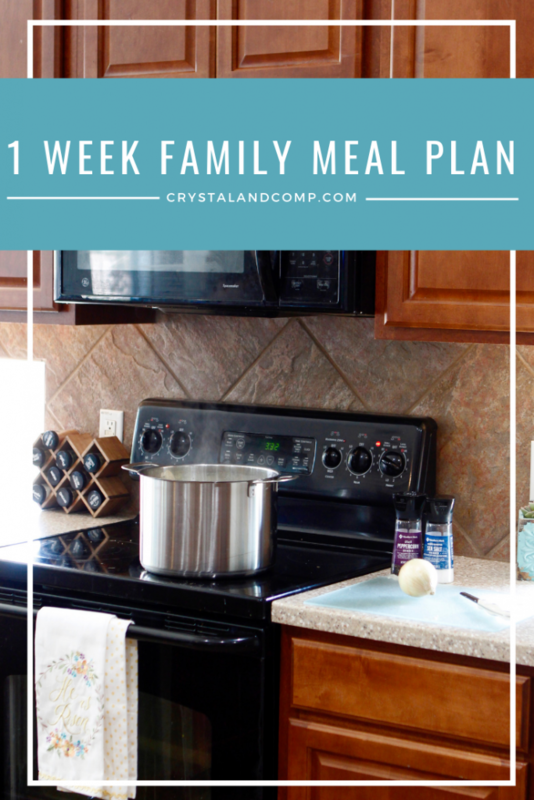 Let me share with you what our 1 week family meal plan looks like for this week. Lots of yummy recipes to feed my family. 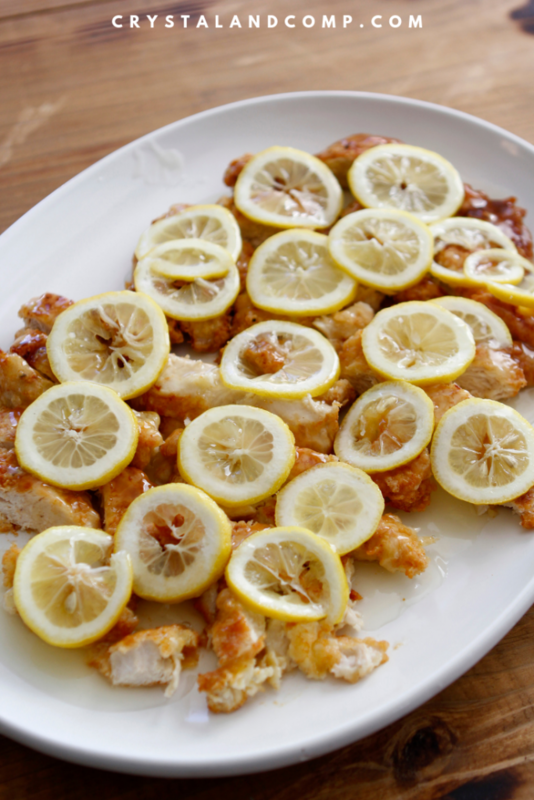 Chinese Lemon Chicken– this is my second time to make this recipe in a week. It is amazing and filling. While it does require frying chicken, which can seem tedious and time consuming. using a large electric skillet makes this come along so much quicker. You will not believe how easy it is to make this at home. It’s as simple as breading the chicken, frying it slowly and then making a lemon sauce to go over it. Make your rice in the Instant Pot to make life that much easier! Homemade Spaghetti– I did a Facebook live last night showing you guys step by step how I make this for a crowd (we had company coming over, plus our large family). It comes together super fast and I think you will love what I use instead of ground beef. You can watch the video of me making it, you just have to request to join our Get Dinner on the Table group. Always a quick and easy meal! Dump and Go Amish Casserole– I am on the hunt for super cheap recipes. Your grocery bill is the easiest way to slash your monthly budget. I am particularly interested in Amish recipes and Depression Era recipes. This looked super delicious since I have everything on hand to make it, include the ground hamburger that is in the freezer and spaghetti noodles, peas and mozzarella cheese I bought in bulk at Sam’s last month. Sounds like a great meal I am super excited to try it! Salmon Patties– our ten year old Matthew LOVES salmon. He likes it baked, grilled, fried, etc. Using caned salmon is a great way to eat this fish on a budget. I know, I know… two fried meals this week. We are using the recipe that is over in the March freezer meal pack. I will serve up asparagus and mashed potatoes with this. Slow Cooker Smothered Pork Chops– I have this already assembled in the freezer, just defrost, toss it in the Crock Pot, and go! I will serve it with mashed potatoes and green beans. Last month I bought powdered potatoes and green beans in bulk. They should both last us a while. If you prefer, you can make these pork chops in the Instant Pot for a super fast dinner. Breakfast for Dinner– I buy pancake mix in bulk at Sams as well as bacon. Sounds like the perfect dinner to me. If you want to make it from scratch I do love this buttermilk pancakes from scratch. This will be a huge hit! Chicken and Dumplings– I make the dumplings from scratch. This is seriously so easy to make. Perfect budget friendly meal with just chicken, broth flour, baking powder, butter and milk. So easy! I serve this with crackers. This is such a super family friendly meal and often times it makes enough for leftovers for lunch! Don’t forget to make a grocery list of all the things you need this week. Following this process keeps me from impulse shopping, saves me time and keeps me on budget. What is on your weekly menu? I love seeing the recipes you’re making for your family!